The consequences of this cumulative budget deficit show up again in another report generated by the State, the frequently-updated tally by the Office of the Comptroller of outstanding bills that have not yet been paid. This week, the total of unpaid bills tallied by Comptroller Leslie Munger neared $6.8 billion. These unpaid bills reflect debts incurred by Illinois for which there was (and is) insufficient cash to pay. The State’s cumulative budget deficit will not be identical to or in balance with the State’s total of unpaid bills, but the two numbers tend to go up and down in synchronization with each other. The deficit pattern revealed in the report from the Office of the Auditor General, the “structural deficit”, can partly be seen as a reflection of secular trends in the Illinois and U.S. economies. Put very briefly, many cash flows that Illinois is legally bound to pay are tied to sectors of the economy, such as health care and pensions, that are growing faster than the economy as a whole. At the same time, many cash flows that Illinois has historically relied upon for necessary revenue, such as sales taxes paid on tangible goods bought over-the-counter in retail stores, are growing more slowly than the economy as a whole. The pattern of deficits and unpaid bills revealed in a growing quantity of data reflects the increasing urgency of taking structural State action to reduce this cumulative deficit. Illinois’ cumulative deficit is now the highest among the U.S. states that have filed audit reports for FY15. 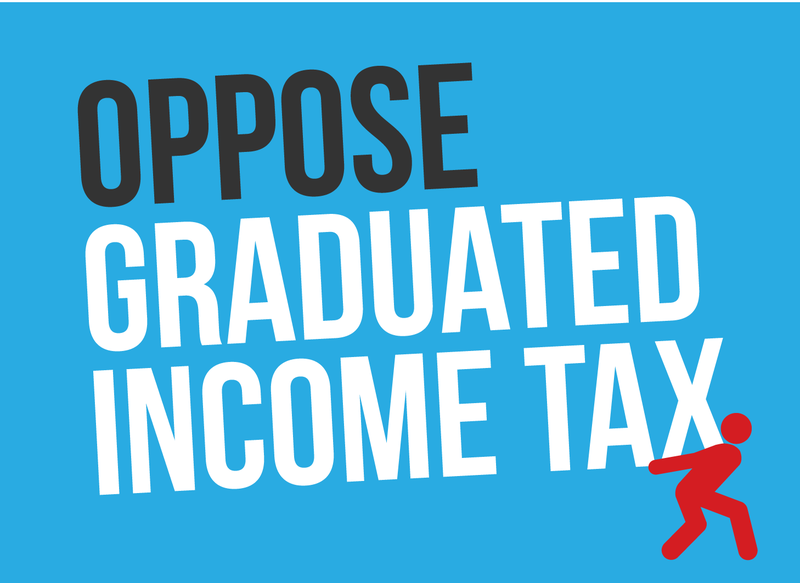 There is a growing belief that the facts set forth in these reports make it essential for Illinois to improve upon its status as the 50th and worst place to operate in the private sector, pay taxes, and create jobs and economic activity. General Assembly budget office continues to see declining State general funds revenues. The serious State FY16 budget situation continued throughout the month of March. This was the conclusion to be drawn from the monthly briefing for March 2016 published by the Illinois Commission on Government Forecasting and Accountability (COGFA), the nonpartisan budget arm affiliated with the General Assembly. The state agency’s monthly revenue and economic summary covering the month of March 2016 was published on Monday, April 4. In normal times, COGFA tracks State revenues to give the General Assembly guidance as to how much revenue Springfield will have in the approaching fiscal year and what limits are constraining the adoption of a constitutional balanced budget. Now that the majority party in the Illinois legislature no longer enacts constitutional budgets, the numbers compiled by COGFA and published as spreadsheets have turned into a steady drumbeat of warnings for the future. As in previous months, COGFA works with the Department of Revenue (IDOR) and other State agencies to track incoming revenue, which is compared with revenues from previous months. Throughout FY16, the State’s revenue from key tax sources, particularly individual and corporate income taxes, have fallen short of what was brought in during the previous fiscal year. In March 2016, key State general funds revenue line items fell $407 million short of revenue during the previous year. More than half of the shortfall was accounted for by drops in personal income tax receipts (down $131 million from March 2015) and corporate income tax receipts (down $129 million). The relevant spreadsheet is printed on page 11 of the monthly report. An accompanying commentary includes explanatory remarks that tie together the State’s diminished income tax receipts and business recession that continue to grip much of Illinois. The Illinois U-3 unemployment rate is currently 6.4%, one of the highest jobless rates among the 50 states. In addition, employment figures tracked by COGFA and its partner, the Illinois Department of Employment Security, show a continued shift in Illinois employment away from comparatively high-paying positions, such as manufacturing and construction, toward relatively low-paying sectors such as education, health services, trade, transportation, and utilities. The overall economic effect of a move towards these employment positions, many of which offer part-time employment without employee benefits, is showing up in the overall economic statistics in Illinois. Law requires Illinois taxpayers to pay late fees to private sector if many bills not paid on time. With the current Illinois fiscal and budget crisis, many state bills are not being paid. Under law, when the State pays many of these bills the government must add a penalty fee for the late payment. In many cases, these are funds owed to medical care providers. Money due for State employee medical health insurance claims are often paid with a supplement that represents the late payment. The Office of the Comptroller, which has operational standing over Illinois’ payment cycles and cash flows, knows who is being paid (or not being paid) at any given time. Their cash-flow monitoring includes knowledge of how much money is going out in late fees. This week, the Comptroller’s office reported that over the last six years, the money paid by the State of Illinois (and its taxpayers) in late fees has topped $900 million. About $160 million was paid out in FY14, the most recent fiscal year tracked and publicly disclosed by Comptroller Munger’s office. House Republican Leader Jim Durkin ups pressure on Democrats to start moving on budget. 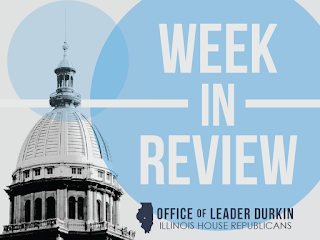 The reconvening of the Illinois House on Monday, April 4 created additional pressure on Democrats, led by Speaker Madigan, to begin serious negotiations to end the ten-month impasse that has so far prevented the passage of a constitutional balanced budget for FY16. Illinois has been operating without an overall plan to guide and discipline State spending since July 1, 2015. Illinois is now the only state in the United States operating without a budget, and has been slapped by credit-rating overseers with the lowest debt rating among the 50 states. Speaking out with his counterpart, Senate Republican Leader Christine Radogno, Leader Durkin urged Democrat leaders to meet with Governor Bruce Rauner and hold high-level negotiations aimed at bringing an end to the impasse. According to Comptroller Leslie Munger, Illinois is on course to develop a backlog of unpaid bills and invoices that could top $10 billion before the end of the current, budget-less fiscal year. Republican leaders introduce bill to free up money in certain crisis areas. Hardest-hit by the current budget crisis have been several broad areas of State spending not protected by court orders, consent decrees and continuing appropriations, such as higher education and some providers of community services. House Republican Leader Jim Durkin has joined with his Senate Republican counterpart, Sen. Christine Radogno, to advocate for a $1.3 billion budget/appropriations relief bill to reopen cash flow for defined subgroups of providers of community services, including public health-related services. Services that would be restored under the categories covered by this proposal include screenings for lead poisoning, services for victims of sexual assault and domestic violence, and home care for elderly residents. 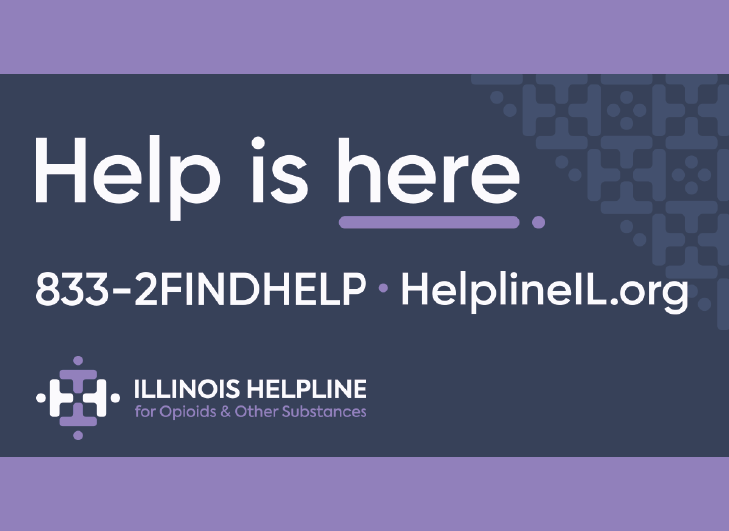 The areas covered by these definitions are community public-health-related services, traditionally performed by locally-based nonprofit private sector entities that rely on grant support from the State of Illinois. The failure of the State to enact a FY16 budget has forced many of these service providers throughout Illinois to carry out significant layoffs. In some cases, longtime service providers have been forced to close their doors entirely. Under this proposal, parts of the cost of these payments would be met by transfers from other State funds, and part would be met by a partial pension cost shift from the State to local school districts and higher education institutions that took certain enumerated salary actions to obligate their pension systems. This move would be one of several proposed pension reforms being discussed by the General Assembly in the current spring session. House committee approves “Molly’s Law,” sends to House floor for final passage. HB 6083 was approved by the House Judiciary – Civil Law Committee on Tuesday, April 5. The bill will, under some circumstances, loosen the current strict standard of limitations that prevents actions for wrongful death from being taken under the Wrongful Death Act. The lead sponsor of the measure is Representative Terri Bryant, who represents a Southern Illinois district centered on Mt. Vernon, Illinois. The bill is called “Molly’s Law” in honor of Molly Young, a woman who was found dead in Carbondale, Illinois. Seeking “Justice for Molly”, Larry Young, Molly’s bereaved father, looked at Illinois’ criminal and civil laws. Civil laws for obtaining justice center on the Wrongful Death Act, which currently requires that a civil action be filed within 2 years of the death. Young’s contacts with local law enforcement proved unfruitful; he kept being told that the case was under investigation and that relevant evidence essential to commencing a civil action under the Wrongful Death Act could not be obtained or released. Eventually, local law enforcement ruled Molly Young’s death to have been perpetrated due to unknown causes surrounded by lack of evidence. The same lack of evidence made it impossible for the Young family, who believe that Molly’s death was a homicide, to timely file a Wrongful Death Act civil action against the alleged perpetrator of the death. “Molly’s Law,” if passed, will extend the Wrongful Death Act statute of limitations from 2 years to 5 years in cases where the cause of death is violent intentional conduct. The bill was approved by the House Judiciary Committee by a vote of 11-0-0. Jobless rates rise in Illinois metropolitan areas. The widely-tracked U-3 unemployment rate rose in February 2016, on a year-over-year basis, in 14 individual metropolitan areas of Illinois. These regions, which range from populous Chicago to southern Illinois’ Metro-East region, are tracked on a regional basis for job-counting purposes. The new metro numbers supplement an earlier-reported finding that the overall Illinois February jobless rate increased to 6.4%, 150 basis points higher than the national unemployment rate of 4.9%. The relative severity of the picture was worse in characteristically industrial areas, and a bit better in areas oriented towards higher education and medical care. The highest February 2016 local rate of unemployment was posted in greater Decatur, Illinois (8.2%), a Downstate community traditionally oriented towards heavy industry, and the lowest rate could be found in nearby Champaign-Urbana (6.2%), the home of the University of Illinois at Urbana-Champaign (UIUC). On a statewide basis, Illinois currently ranks below average (34th of 50) in a state-by-state statistical comparison of new job creation. Vehicle emissions test notices resume, for now. Drivers of motor vehicles in specified areas in greater Chicago and metropolitan St. Louis are required by federal law to get their cars and trucks tested for compliance with emissions standards. These large cities and their suburbs/exurbs are “nonattainment areas” that persistently zone out of acceptable limits on one or more atmospheric pollutants. This compliance testing is a requirement within these areas for getting a vehicle’s road license renewed. The vehicle owner must present proof-of-testing as part of the documentation submitted at the time the motor vehicle’s sticker is scheduled to expire. The tests must be performed on a rolling schedule tied to the age of each vehicle, and there is an official list of test centers authorized to perform the emissions tests. Until December 2015, the Illinois Environmental Protection Agency (IEPA) routinely sent out friendly notices of vehicle emissions testing deadlines to motor vehicle owners. The notice cycle was suspended at that time due to the State’s budget crisis, leading to widespread protests. The IEPA has announced they have renegotiated the terms of their notice mailing process with their testing system private partner, and notices of duty-to-perform 0.5 million vehicle emissions tests are now in the process of being mailed out. The notices cover vehicles due for emissions tests during a three-month period starting on March 1, 2016 and ending on May 31, 2016. Mailings resumed on Wednesday, April 6. A separate suspended mailing program by the Secretary of State’s office to vehicle owners to remind them to renew their vehicle license stickers and purchase new ones has not been resumed. Vehicle owners will continue to be responsible to renew their vehicle license stickers on their own and will pay penalties if they fail to do so. 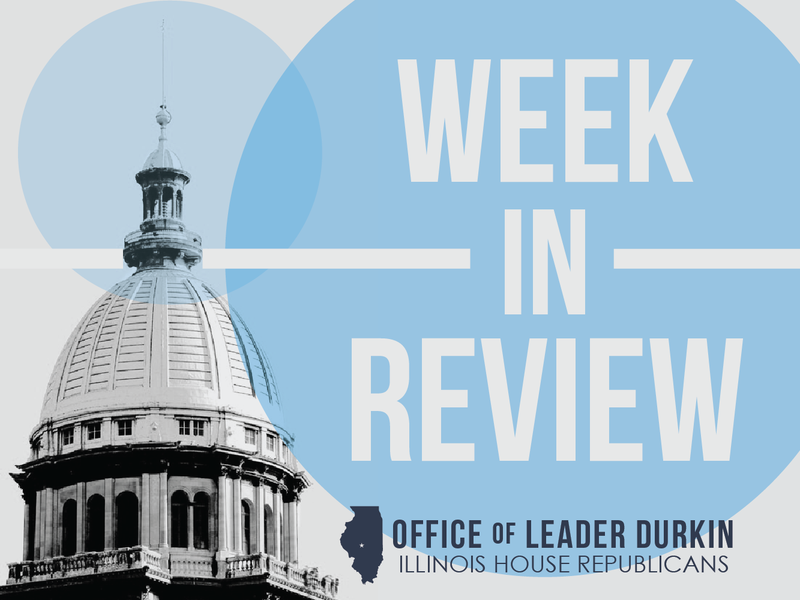 The Illinois House is currently considering a bill, HB 4334, to temporarily suspend the delinquent registration renewal fee when it is being charged and collected under these circumstances. Numerous House Republicans, led by Representatives David Harris and Michael McAuliffe, are cosponsors of HB 4334. ILBEDC presents job-creation plan to House committee. The presentation was made by the Illinois Business and Economic Development Corporation (ILBEDC) CEO Jim Schultz. He explained to the newly-convened House Committee on Public Private Partnerships the role of ILBEDC to sell Illinois as a place to locate businesses and create jobs. CEO Schultz explained that the new nonprofit corporation is expected to match the economic-development-corporation organizational model grasped by 17 U.S. states and by many regions within Illinois. Neighboring states that have set up EDCs include Indiana, Missouri, and Wisconsin. Large states that have set up EDCs include Florida, Michigan, Ohio, and Texas. A typical state-affiliated EDC operates its job creation activities in close cooperation with the State agency that has the task of maintaining and helping the creation of jobs and economic development. In the case of Illinois, this agency is the Illinois Department of Commerce and Economic Opportunity, IL-DCEO. Former DCEO Director Schultz explained to the House committee that the decision to charter the ILBEDC is “a major initiative to accelerate job growth in Illinois.” Incorporated as a 501(c)(3) nonprofit corporation, ILBEDC will not be a government agency and will not ask for taxpayer funds for its day-to-day operations. ILBEDC has been set up in a manner parallel to the existing, and relatively successful, Texas Economic Development Council. Texas has created more than 8 million net new jobs since the TEDC was organized in 1961. Governor Bruce Rauner’s Executive Order 1602, filed in February 2016, sets forth the future relationship between IL-DCEO and the new ILBEDC. IL-DCEO will continue to be a taxpayer-funded agency with overall responsibility over Illinois job creation. Their approximately 350 employees will continue to maintain all of IL-DCEO’s other statutory responsibilities, including liaison with Illinois local governments and relationships with a variety of nonprofit entities. IL-DCEO has ongoing relationships, including grantor-grantee relationships, with more than 1,000 nonprofit corporations throughout Illinois. Faster trains coming to Chicago-St. Louis route. As work continues to improve on the railroad right-of-way between Joliet and Alton, improved timetables grow near for the implementation of service along much of the route as fast as 110 miles per hour. The faster trains could be running as soon as 2017. Amtrak is also taking steps to revamp and rebuild the interior space in Chicago’s Union Station, with moves underway to concentrate passenger ticketing and waiting areas in the station’s Great Hall and open more multilevel space to West Loop-oriented private-sector retail activity. While Illinois continues to tighten its belt with regards to a wide variety of spending commitments, the Joliet-Alton speedup is being implemented through a multi-year capital improvement consortium program that includes federal U.S. Department of Transportation money and partial funding from the Union Pacific Railroad, the owner and operator of the railroad bed. Union Pacific has consented to continue to allow Amtrak trains to run on its line in return for federal and State help in improving the roadbed, on which it is running an increasing count of double-stacked trailer trains. Despite budget woes, plans go ahead to celebrate Illinois State Fair in August. The new State Fair management released a lineup of entertainment acts expected to perform concerts at the historic State Fair grandstand in August 2016. The lineup includes Grammy nominee Dierks Bentley, veteran rocker Gregg Allman and band ZZ Top. The Illinois State Fair, which will be held August 12 through August 21, will also provide children’s attractions, carnival rides, subsidiary acts, animal showings, festival foods and a long list of midway attractions. An admission fee will be charged. The tentative Grandstand lineup was published on Monday, April 4. Championship sporting complex reopens. The World Shooting and Recreational Complex, a 1,600-acre facility of the Illinois Department of Natural Resources, is located in Randolph County north of Sparta, Illinois. The southwestern Illinois facility is one of the largest shooting grounds in the world dedicated to competitive gunning events, particularly American-style clay-and-trap-shooting events. The limited spring reopening of the Complex will allow national shooting events such as the Grand American amateur trapshooting classic to return to Illinois during the 2016 sporting season. Members of organized groups that have signed an agreement with the Complex will be allowed to shoot. The Complex reopened on Saturday, April 2.